When an object (Device, Trigger, Schedule, Action Group, Control Page, or Variable) is deleted, you will be presented a dialog to confirm. 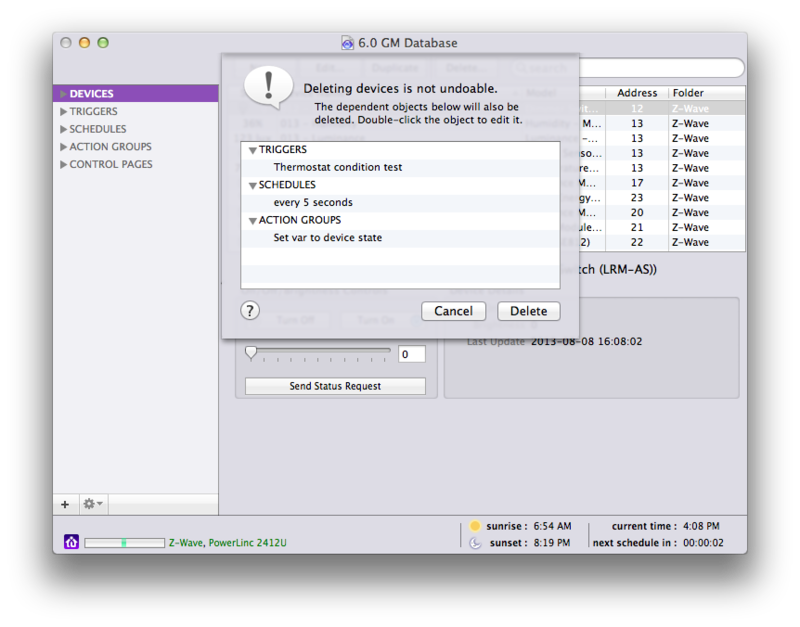 If there are any other objects that are dependent on the object you're deleting, the dialog will show you the dependencies. 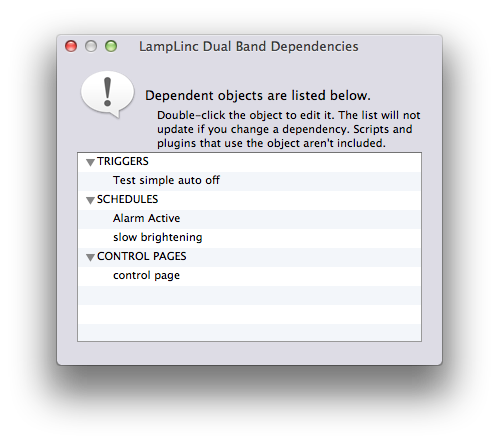 If you double-click on the dependency, the edit dialog for that object will open so you can change/remove it. If you want the dependent objects to be deleted, just click the Delete button. Specifically - if the object being deleted will render the dependent object useless, for instance a trigger event that's defined with the device you're deleting in the device state changed definition, then the entire object will be deleted - in this case the trigger. Same with conditions. If the object is used in one of several actions or if it's used on a control page, just the action or page element will be deleted. This should be a big help in figuring out what a given object's dependencies are and allow you to quickly change those relationships.